Inspired by the beauty and precision of symphonic music, the Symphony line from Tredstep reflects the same qualities. Beauty, movement, technical expertise and precision combined with crucial design features make this line a step above the rest. 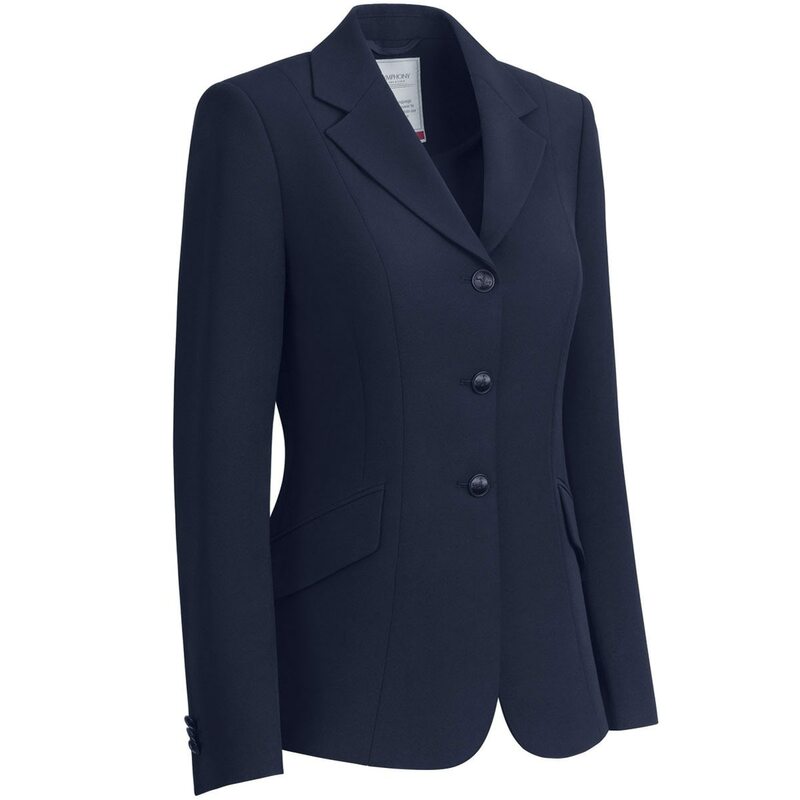 This show coat has classic tailoring with style and performance elements making it ideal for every discipline. Crafted from stretch woven twill fabric, its moisture wicking and comfortable to wear. 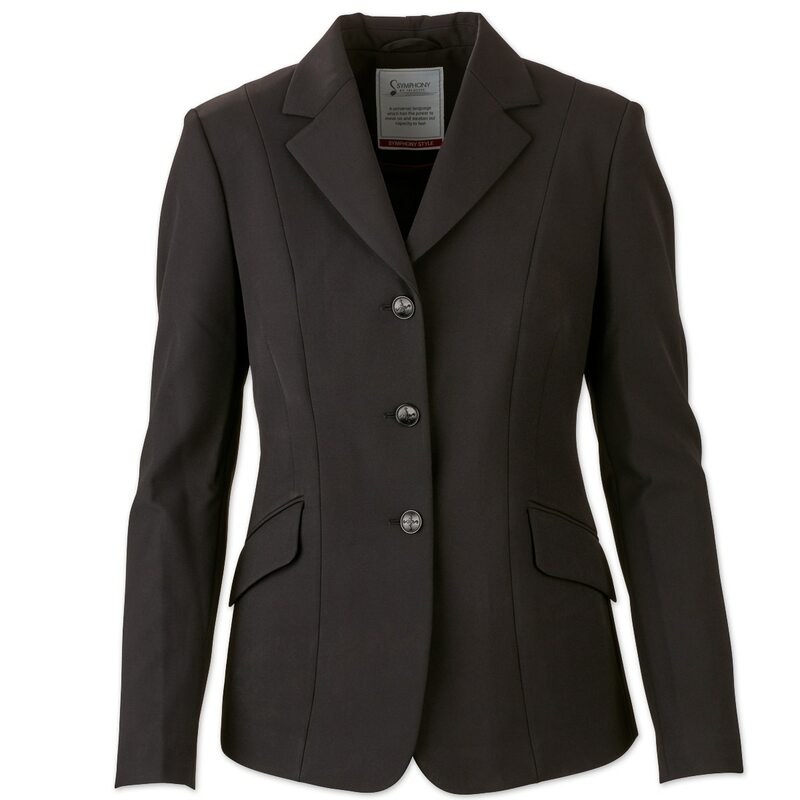 Classic three button design with double vented back helps maintain a perfect balance of style and performance. Tredstep Symphony Show Coat is rated 4.8 out of 5 by 4. Rated 5 out of 5 by HunterProbss from Gorgeous Quality Love this coat, though definitely not for those with beefy arms. Rated 5 out of 5 by hunterjumpereq from Perfect fit I bought this jacket for hunter showing and I LOVE it. The shape fits my body type really well, very similar to RJ classics just not as elastic. Its great quality for the price. My only complaint is that it's not super breathable but as long as your show shirt is ventilated it should be fine. Rated 5 out of 5 by CK100 from Glides on over the body! Perfect for my middle-schooler. Just the slight bit big in the chest but much better than most. Thanks for the size 00. Rated 4 out of 5 by Cindy from Lovely This jacket was purchased for my daughter who's 12 years old, 5'4" and approximately 100 lbs. Most children's clothing does not fit and adult sizes can be challenging. This jacket was a pleasant surprise. Elegant material, hangs nicely, a little big in the chest (she's a 32 A) and the buttons are a bit cheap (thin). Over all, the price was great and the jacket is lovely (no stripes or patterns...coach is happy!) And daughter says it's comfortable and light.